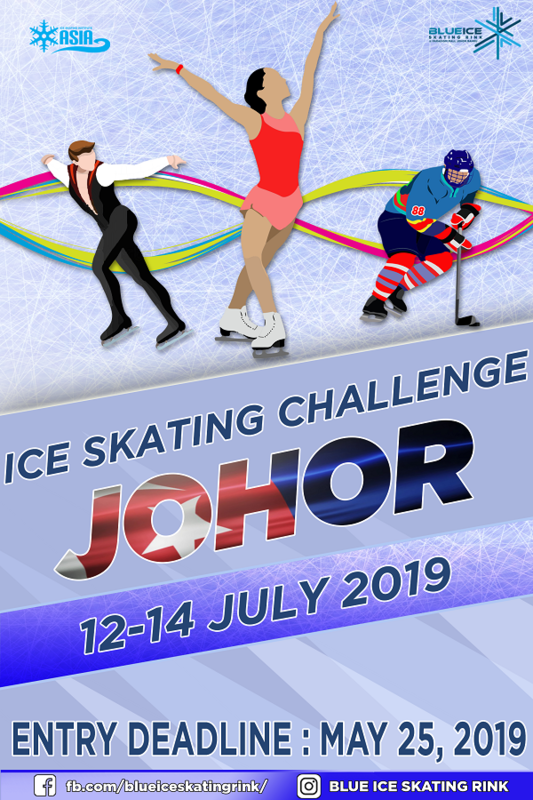 BLUE ICE SKATING RINK is proud to present 1st “JOHOR ICE SKATING CHALLENGE 2019” from 12th-14th July. We are very pleased to invite you to participate in this special event, and chance to meet you in Johor-Malaysia. Blue Ice Skating Rink is the first and the only Ice Skating Rink in the State of Johor, Malaysia with the size of 45 x 25 sqm. We very much look toward for your participation in this year’s event as do all of our skaters who are eager to compete their talents and skills with their and fellow skaters from throughout the region. Your participation will be a big help in promoting Ice Skating in Asia. It is our wish that you and your skaters will be able to join us in “Johor Ice Skating Challenge 2019” for this exciting and fun-filled competition. Please advise us soonest of the details of your participation and participants so that we may be able to attend to their schedules and requirements. Thank you for your immediate attention and we look toward for your skaters joining us for the JOHOR ICE SKATING CHALLENGE 2019.